Thank you! We appreciate your interest in hosting a community event/fundraiser to support Texas Children's Hospital. Please fill out the form below to let us know your information and event information. The completion of this form marks the first step in the process, following submission a staff member from the Office of Philanthropy will be in touch within 7 business days. Please familiarize yourself with our Community Fundraiser and Event Proposal Guidelines. If you have questions or trouble filling out the form, please let us know by contacting communityevents@texaschildrens.org or 832-824-2938. * Question - Required - Why have you selected Texas Children's Hospital to receive the funds raised? * Question - Required - How would you best describe this event from the following options? Question - Not Required - Have you formed a committee to help organize this event or fundraiser? * Question - Required - If no, who will support you in your efforts? * Question - Required - Is Texas Children's Hospital the sole beneficiary? * Question - Required - How will the funds be raised? Question - Not Required - If you selected "other," how will the funds be raised? * Question - Required - Who will you solicit? Question - Not Required - If you selected "other," who will you solicit? * Question - Required - How will expenses be paid? If you're unsure of the exact amounts, please round your next three answers to the nearest $50. * Question - Required - Where would you like your funds directed? Question - Not Required - If you selected "other," where would you like your fund directed? * Question - Required - How will you promote this event or fundraiser? By agreeing to the next 3 questions/statements, you are agreeing to the terms and conditions as stated in the Community Fundraiser and Event Proposal Guidelines. These terms and conditions can be found by following this link to a PDF. * Question - Required - I understand that by Texas State Law, raffles are allowed only if sponsored by a 501C3 organization. Texas Children's Hospital is unable to support a third party raffle. * Question - Required - I agree that Texas Children's Hospital will receive all revenues from the event within 30 days of the event. 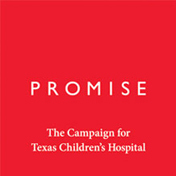 * Question - Required - I agree that all printed materials and publicity for the event must be approved by Texas Children's Hospital prior to being released, printed, etc.